This is a very unusual silver brooch by the Norwegian silversmith David-Andersen. 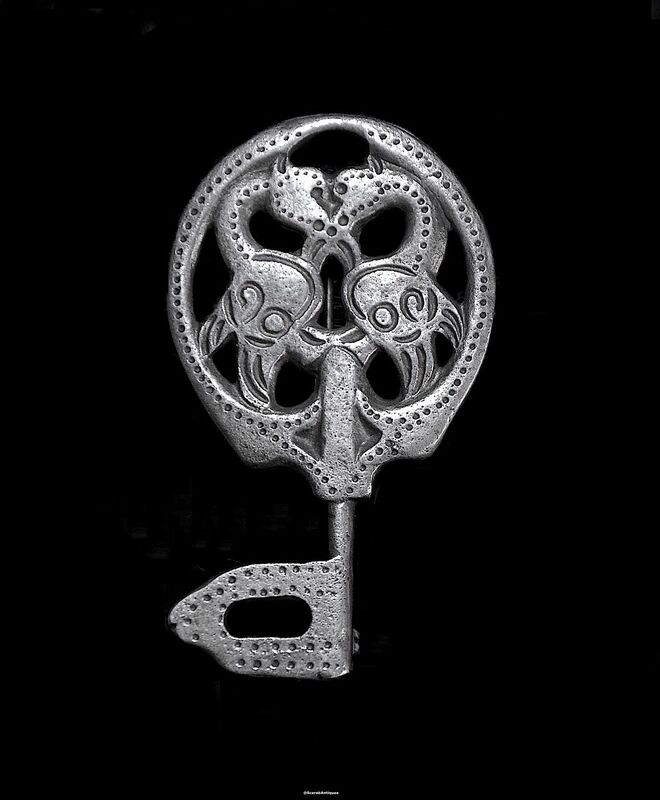 The brooch is part of the Saga series that was produced in the 1960s and is copied from a Viking brooch c. 900A.D. 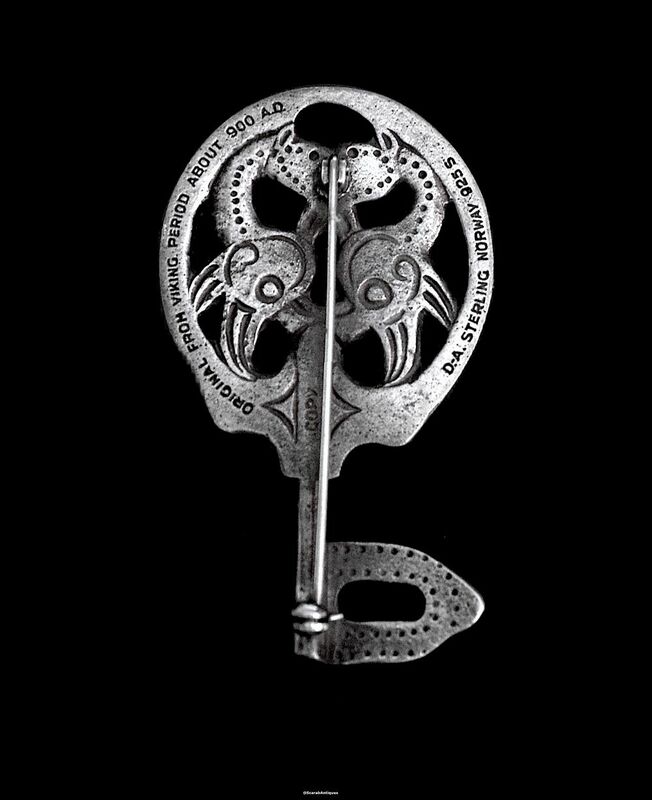 It is key shaped, the top being a thick openwork plate with a design of opposing serpents within a surround leading to a silver stem and openwork pennant shaped base. The reverse is signed "D-A Sterling Norway 925S original from Viking period about 900 A.D."